The Garmin Fenix 3 is a seriousrunning and fitness watchthat we rate very highly. 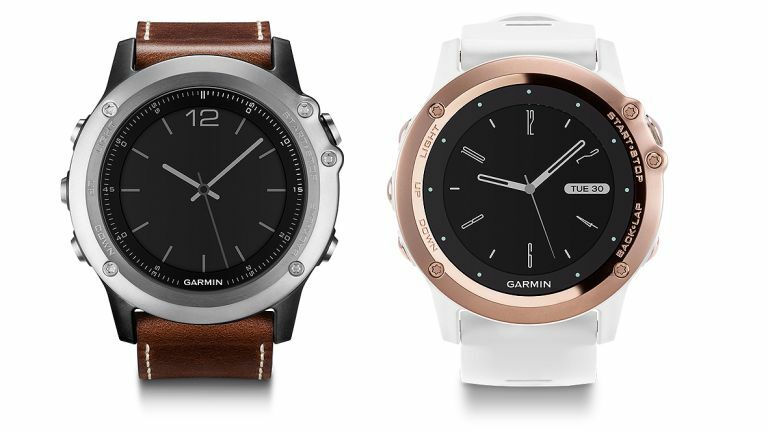 It's also got a very manly rugged and chunky look that Garmin is now trying to play up with premium editions in silver and rose gold, with sapphire glass screens and leather straps. The results, aesthetically, are about as good as any smartwatch we've seen, at least for those prefer the more macho timepiece. And do you know what? It actually does. With the full and fairly self-explanatory name of, Garmin Fenix 3 Sapphire Silver with Leather Band (a rose gold incarnation will also be available), this keeps all the usual GPS tracking, 100m water resistance and 50-hour battery life (20 hours with the GPS on) of its sportier sibling. As a smartwatch, it's not going to challenge Apple Watch or its Android Wear rivals when it comes to voice control, sending as opposed to receiving messages, Google searches and the like, but the Fenix 3 does do the basics, and obviously rips its Apple and Android rivals a new one when it comes to its sporting and navigation abilities. Pairing with a chest-strap heart rate monitor is also possible, adding a great deal of extra fitness functionality, and you can also use it as a remote control for your Garmin Virb action cam. You could question whether a heavy, leather strap is as suited to cross-country running, mountaineering and ski-boarding (just a handful of the activities that the Fenix 3 is set up to track) as a plastic/silicone one, but it certainly looks the business. I'll let you know as soon as one arrives if the feel of the new, swanked-up Fenixes matches the photography, but at £470 for the silver one (no pricing on the rose gold yet), I reckon Garmin could shift a fair few of these to thrusting, macho business types who double up as weekend outdoorsmen. Compatibility with both iPhone from 4S onwards and Android 4.3 phones from about the Galaxy S3 era onwards won't hurt, either.